Do you own a big commercial business and have a specific building allotted for this job? Well, then you need to not just spend your day thinking, planning, and plotting strategies of taking your business to newer heights of success but you also need to focus on keeping your employees, your building, and the infrastructure or your client information safe. Sometimes, the danger is not just from the point of view of the criminal activities but also from the natural disasters or accidents. One of the biggest dangers that your commercial office could be facing is a fire hazard due to a blocked and dirty dryer vent. 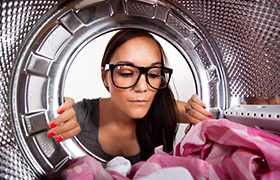 If you don’t maintain or do your dryer vent cleaning on a regular basis, you are likely to face such dangers. We, at Air Quality Environment Inc, can help. We are an expert team of dedicated and efficient technicians who are experienced in cleaning your dryer vent. We also have some modern tools with advanced features which will make the process easier. So, if you are from areas such as Boca Raton, Delray Beach, Jupiter FL, Palm Beach, Stuart FL, or Wellington, then you should resort to us without hesitation. Here, we have a few questions you must ask a vent cleaning service before you hire them. Take a look. What is your cleaning regime? Before you hire a company for cleaning your dryer vent, you need to understand the company’s way of cleaning, the sort of tools they use, the kinds of features that these kinds of equipment have which makes the cleaning more effective, and so on. You would want to know about how much you need to pay the service before hiring a dryer vent cleaning service in order to make sure it is within your budget. Ask if you can get quotes in advance so that you can calculate and compare the charges with others to hire the one which suits your budget the best. After asking such questions, if you are still interested in hiring us, get in touch with us now.